I love Chinese food. I think America loves Chinese food. That is probably why there are so many Chinese restaurants around town. I’m not talking about Panda Express, or China Wok, Chinatown Express — the list goes on and on. When I think of Chinese food, and think of meat, I always look to Sam Woo. 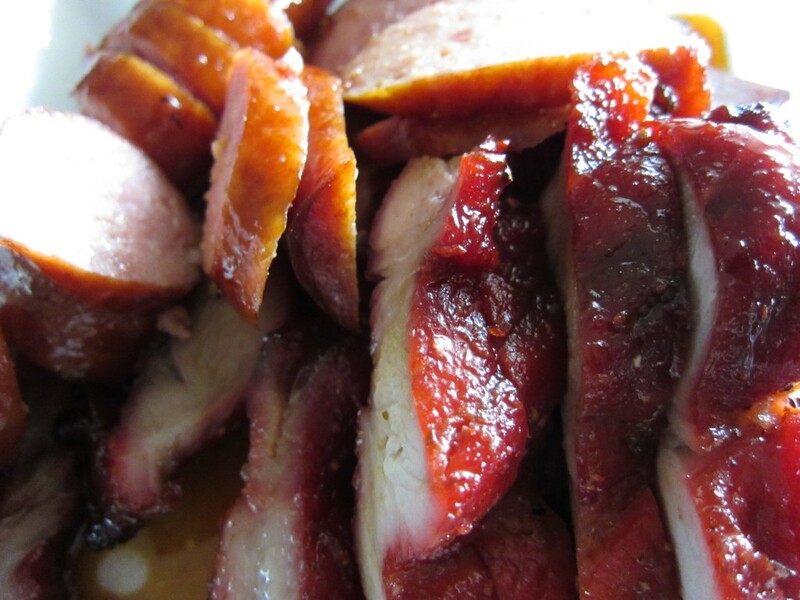 Duck, pork, chicken, they have everything. 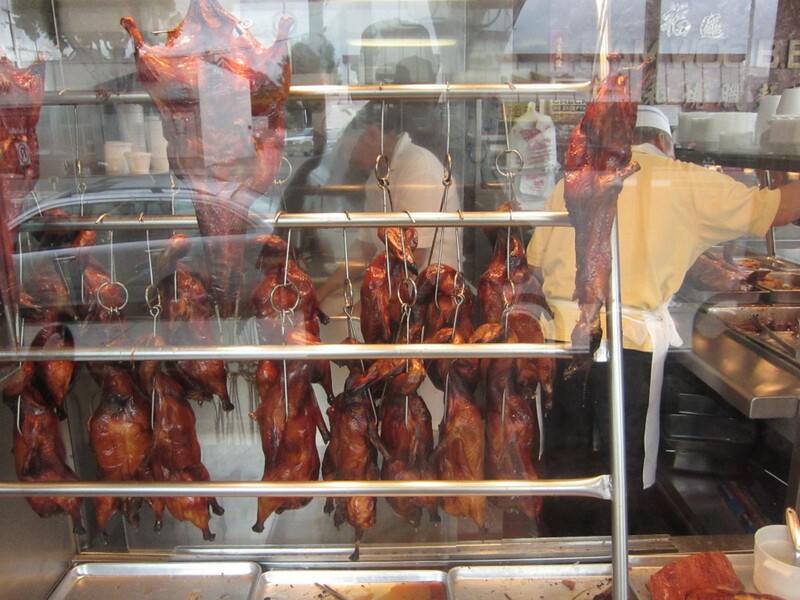 Roasted whole duck hang by their necks on display. That might be a bit much to some, but to me, that’s lunch. I always come here for the duck and BBQ pork. I sometimes get the sausage and the pork loaf too. Get that with a little rice, and I can eat for days. Sam Woo makes some good duck. The skin was salty and fatty, the meat was tender and flavorful. Did it taste like chicken? No, it tasted like duck, obviously. All kidding aside, it did have the texture and mouth feel of chicken, but a bit more fattier in taste. And more fat means more flavor. I personally like pork to be on the sweeter side. Apples and pork chops, pineapples and ham, maple glazed bacon. See the trend here? Pork is just better on the sweet side. The BBQ pork her was just that — sweet. They make it in huge slabs, and chop it up per order. It had this really sweet glaze over it that made it stand out. The sweetness worked really well with the pork. It tasted amazing! Chinese food at those fast food joints is good, but is nothing like this place. Sam Woo gives it that extra care and quality in everything they make. It is authentic, as real Chinese food should be. Every time I need a meat fix and in the mood for Chinese, to Sam Woo Barbecue I will go. this place looks awesome. 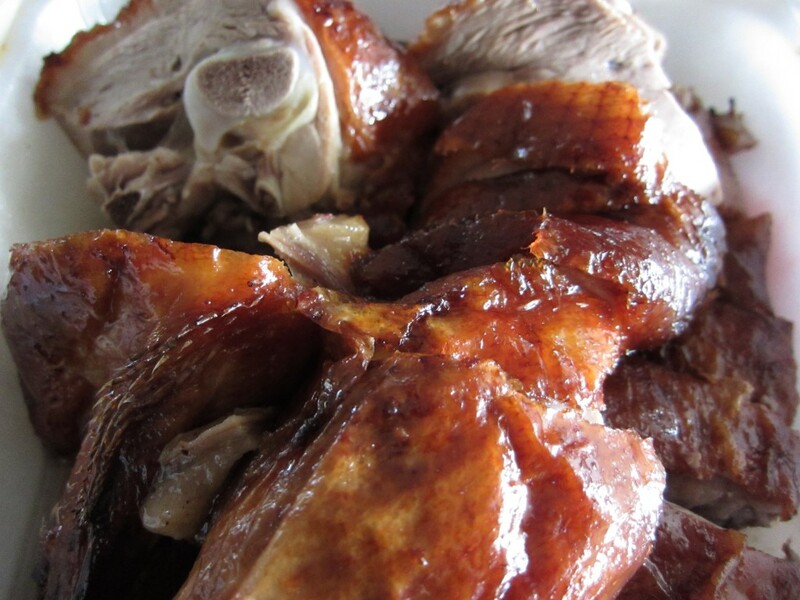 I love my pork on the sweet side as well and good duck is a hard find. Yum! Sam Woo does a 3 combo take-out rice box: usually I get the roasted pork (crispy skin), char siu, and roasted duck. $7 for a box of slow cooked fatty animal protein. It’s better than going to Animal. Better than Animal? That is weird because I was thinking about going there just yesterday. Sam woo is legit though, that’s for sure.